I am delighted to invite you to a Rapid Inductions seminar for a daylong, fun filled education programme aimed at and created for hypnotherapists looking to advance their range and fluency at inducing hypnosis rapidly and creating hypnotic phenomena in a professional manner. We usually have upcoming seminars in a variety of locations, so download a prospectus for full details. For further information about dates, venues (We usually have upcoming seminars in a variety of locations), please enter your name and email address in the boxes and you’ll receive all the information regarding course content, upcoming dates, venues and fees straight away by email. Myself, Adam Eason — I run this prominent hypnotherapy training college here in the UK and beyond and I have a thriving hypnotherapy practice on the South Coast of England. As well as running this college, I lecture for the Royal Society of Medicine and at Bournemouth University to post-graduate students and medical professionals. I am an academic and experimental researcher and have authored a couple of books (including a bestseller or two) in a variety of languages, my audio programmes sell globally and have featured on national television a bunch of times. My podcast and blog are very well followed and demonstrate my love for evidence based hypnosis in clinical settings. I am friends with and have trained alongside and under many prominent stage hypnotists and street hypnotists. This seminar was originally created with my friends James Brown, an award winning magician, whose input in this seminar makes it as it is. I mention this because the skills they often exhibit tend to be frowned upon by hypnotherapists, yet facets of what stage and street hypnosis professionals do can be used to advance the client’s experience in treatment rooms, and create more credibility as well as offer a stimulating therapeutic experience. The combination of influences within this seminar is an interesting one. I have a clinical hypnotherapy background. I favour evidence based approaches and am a stickler for the rationale behind the processes involved in hypnosis. I am an academic researcher and University lecturer as well as running this college. This training college encourages a fun, supportive training environment. Everyone who attends this seminar will also receive a comprehensive manual describing all the techniques demonstrated on the day as part of the low seminar fee. Imagine the scene…. You’re trained and qualified and are working with a client in your lovely fancy therapy room, the lights are dimmed, the chair is fully reclined, your client has a lovely crochet blanket draped across them, you pop on the whale music and yes, it’s time to affect your best “Hush FM DJ” voice, a sort of whispering-Barry-White-on-dope type of impression, and you punctuate every sentence of your lengthy scenic descriptive deepened with those immortal words “deeper and deeper”…… The client starts to softly snore, completely unaware any longer that they are supposed to be in a hypnotherapy session, to the point where you could be saying anything at all to them…. You emerge them at the end of the session, they rub their eyes the same way they would if they had just had a short nap (ironic?) and they utter those words that no hypnotherapist ever wants to hear and never should hear…. Maybe you have heard it said by other hypnotherapist’s clients? I hear this a great deal from clients that went to see other hypnotherapists before coming to see me. Surely this is a problem if you are a hypnotherapist, no? Following this rapid inductions and hypnotic phenomena seminar, your clients will never utter these words. They will leave your office undeniably convinced that they were hypnotised. They’ll explain to friends, family and colleagues how impressive their experience was, and your reputation, referred business levels and credibility will all rise together. This seminar shows you how to induce hypnosis in a wide number of effective ways, and how to elicit a wide range of hypnotic phenomena and effects that will blow the minds of your clients in your hypnotherapy consulting rooms – it will add kudos, credibility and stimulation to every session you ever conduct with your clients. If you have ever heard your clients directly or indirectly say about their session with you that “it was a nice experience, but I am not sure I was really hypnotised” or “it was very relaxing, but I am not convinced I was in hypnosis” then this seminar is going to change that. Clients will leave your office undeniably convinced that they were hypnotised. They’ll explain to friends, family and colleagues how impressive their experience was, and your reputation, referred business levels and credibility will all rise together. If due to unforeseen circumstances any delegate needs to cancel an enrolment, up to one month before the course / seminar / workshop commences a refund of 66% of the paid course fee will be made by Anglo European College of Therapeutic Hypnosis (T/as Adam Eason College of Clinical and Experimental Hypnosis Ltd). Unfortunately, for any reduced initial fees paid (i.e. You took us up on an offer of a reduced course fee) and for any cancellations made within a month of the start date or after the start date of the course, no refunds are available.Please note: If you wish to move on to a different course at a later date and you give us less than a month’s notice, there are additional fees incurred due to hotel booking costs etc. 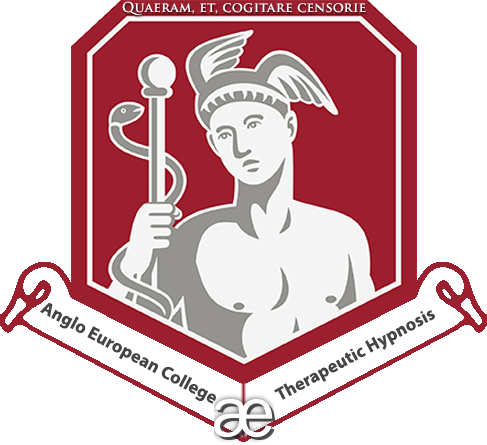 If for any reason or due to unforeseen circumstances the programme you enrol upon has to be cancelled, Anglo European College of Therapeutic Hypnosis (T/as Adam Eason College of Clinical and Experimental Hypnosis Ltd) will refund your payment in full. Anglo European College of Therapeutic Hypnosis (T/as Adam Eason College of Clinical and Experimental Hypnosis Ltd) and/or its directors will not be liable for any other expenses. Bournemouth, Thursday the 28th of February, 2019. If you’d like to attend our science of self-hypnosis seminar which is run at the same venue on the day after this self-hypnosis seminar every time we run it, then you can book onto both for a discounted fee of £150.00 plus Vat here too (total of £180.00). Once your payment has been processed, we will contact you immediately to confirm and to book your place upon the seminar venue you wish to attend. You’ll receive preparatory information and materials upon successful enrolment. If you’d like to book more than one of you, you can get in touch and we’ll organise for a single payment to be made for more than one person wishing to book together. For upcoming events in other locations that we have planned for the upcoming year, please get in touch with us directly or/and download prospectus for details.